Home / Billy-Dee-Williams / Mark-Hamill / Star-Wars-Force-Awakens / StarWars / Poll: Who Has the Greatest Facial Hair in the STAR WARS Universe? Poll: Who Has the Greatest Facial Hair in the STAR WARS Universe? The Star Wars universe is filled with manly men and their stately beards, but who has the best? 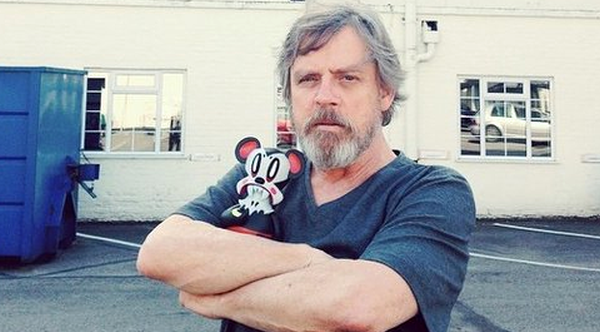 For Star Wars: The Force Awakens Mark Hamill's grown an amazing beard, but he's not too happy about it. He told Entertainment Weekly, "I'm not really a beard person. I suppose if I got used to it, I could become one. It's just one of those things. I think they look fine on other people, it's just not for me." So, who looks best in a beard? Whether it's a beard, mustache or goatie, this week's poll is: Who has the best facial hair in the Star Wars universe? Who has the greatest facial hair in "Star Wars?" Check the comments for why I chose Billy Dee Williams. Do you have an idea for a poll? Send it to us by emailing geektwins (at) gmail.com! Who has the best facial hair in Star Wars and why? I watched the Rebels cartoon Lando this morning, it helped remind me of all the reasons he is the best. Ya have to go with Chewbacca.